Abu Dhabi Waste Management Center (Tadweer) has announced that it had collected 1,147,844 tonne waste, amounting to 6,376.90 tonne of waste per day on average, from all regions across the emirate of Abu Dhabi during the first half of 2018. This included municipal solid waste, green waste and bulky waste from residential areas, animal waste from farms, slaughterhouse waste and low volume demolition and construction waste. This waste was collected through Tadweer operational service contracts that provide waste collection and transportation services in the UAE capital, and does not include the industrial and commercial waste that is separately collected by environmental service providers licensed by Tadweer. At 460,322.16 tonne, municipal solid waste accounted for 40.01 per cent of the total waste collected by Tadweer’s facilities in the first six months of 2018, while green waste collected from residential areas and farms recorded 267,716.61 tonne or 23.3 per cent of total waste, and bulky waste amounted to 58,754.99 tons, constituting 5.12 per cent of total waste. 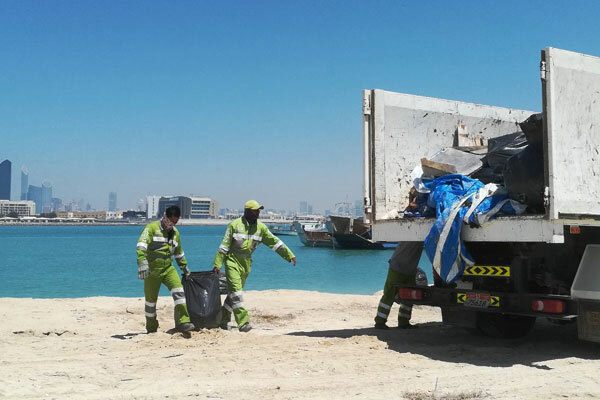 The environmental service providers contracted with Tadweer collect and transports waste from residential areas of Abu Dhabi to the Tadweer’s Treatments & Disposal facilities where the waste is recycled, treated and disposed of in compliance with highest international environmental standards, said a statement from Tadweer. Among the commonly-used treatment methods is the conversion of agricultural and organic wastes into organic fertilizers that help advance the agricultural sector in the emirate, it added. Dr Salem Al Kaabi, the acting general manager of Tadweer, said: "The rapid population growth and unprecedented urbanization in the emirate of Abu Dhabi, have led to a dramatic increase in consumption and waste production. At Tadweer, we implement a comprehensive waste management strategy that focuses on reducing waste and minimizing waste disposal and treatment costs." "Through turning waste into economically important resources and offering best-in-class waste management services, Tadweer supports Abu Dhabi’s sustainable development agenda and contributes to achieving the goals outlined in the Plan Abu Dhabi 2030," he noted. Al Kaabi pointed out that since early 2018, Tadweer had intensified its efforts to address the environmental challenges facing the emirate and mitigate the adverse impact of waste on our environment. "As part of this priority, we have implemented several innovative projects such as Abu Dhabi’s first civic amenity for recyclable materials in the Abu Dhabi City with the provision of other type of recycling centers in the city," he noted.